This portion of the trip was supposed to be great. I had it all planned out perfectly. 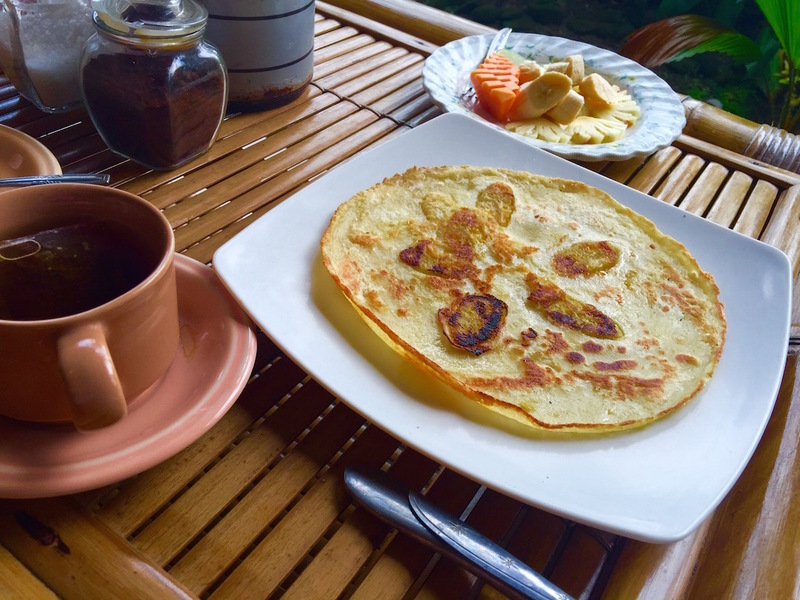 After my volcanic slog, I’d stay the night at an inexpensive place in Kuta Lombok, then wake up early to start my trek towards seeing Bukit Lawang orangutans in the wild. But surprise surprise, it didn’t quite work out that way. Everything started out great. I survived the hike up to Mount Rinjani’s summit, was dropped off at my hotel for the night, and even had a ride to the airport arranged for my 6am flight. So you can imagine my frustration when, early the next morning, my pickup deadline came and went with no sign of a taxi or hotel staff. 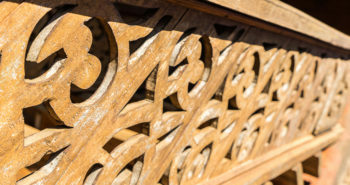 By the time someone actually showed-up, my flight – the only one that day – was long gone. So I had one more day on Lombok than I originally anticipated, and spent that extra time laying in bed napping away my aches and pains. One small delay wasn’t going to stop me. 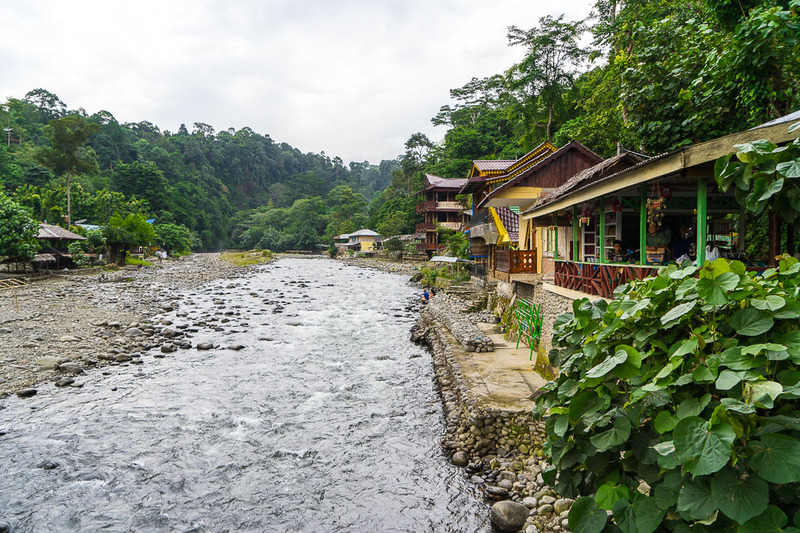 The next day, after two different flights and a 3 hour car ride, I had made it to Bukit Lawang, a teensy river town deep within the jungles of Sumatra. 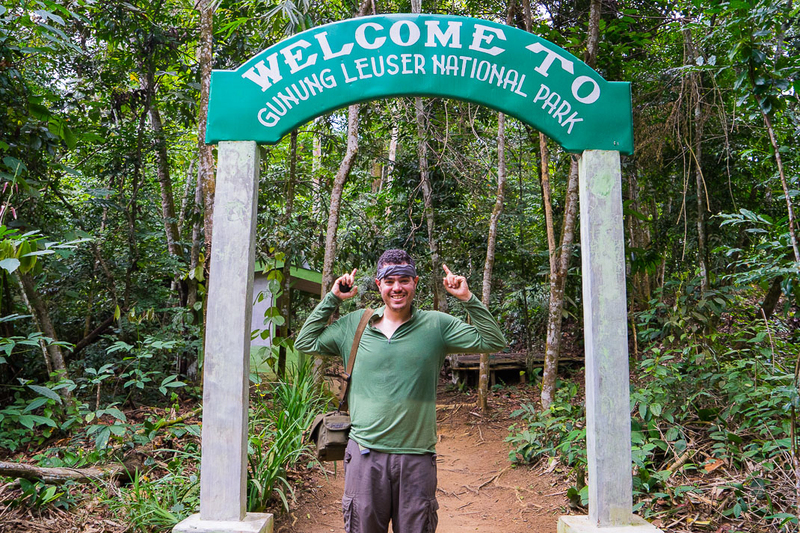 I was one step closer to the whole reason I had put up with these travel shenanigans: Gunung Leuser National Park. 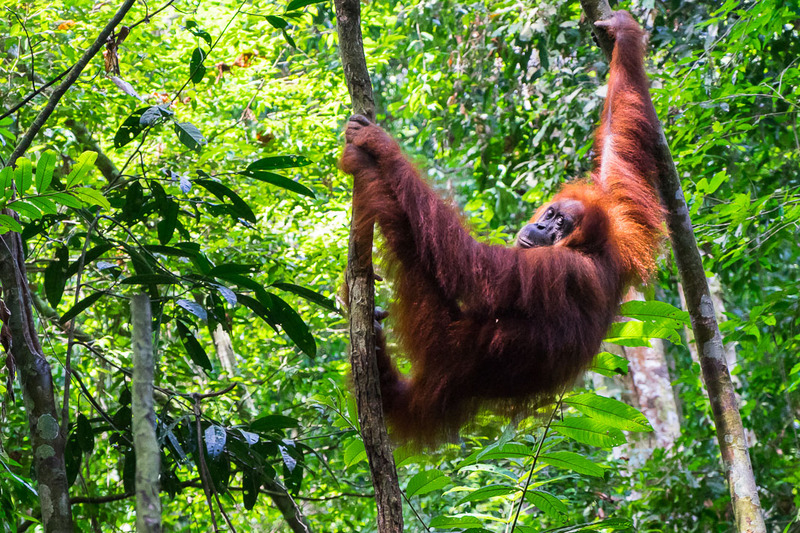 A UNESCO world heritage site primarily known for its wild orangutan sanctuary, Gunung Leuser is conveniently located just within walking distance of Bukit Lawang. 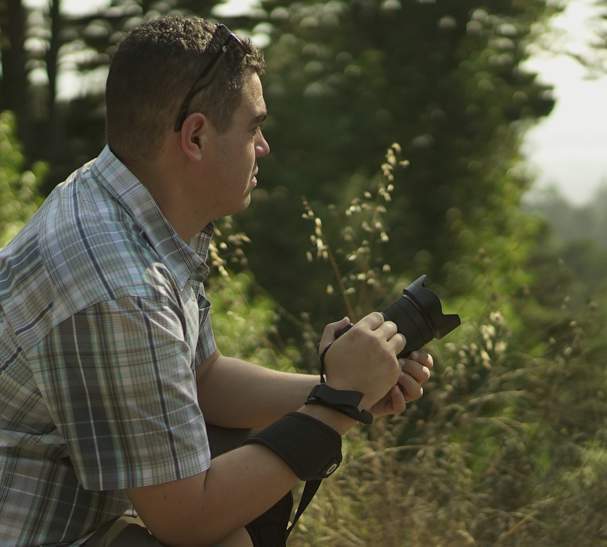 Initially I had planned to go for an overnight camping trip within the park, which would have given me 2 full days to explore and hopefully get some good shots of the local wildlife. Unfortunately my flight delay meant that I could now only fit in one full day hike, which actually ended up a positive, as portions of my toes were still numb from Rinjani. 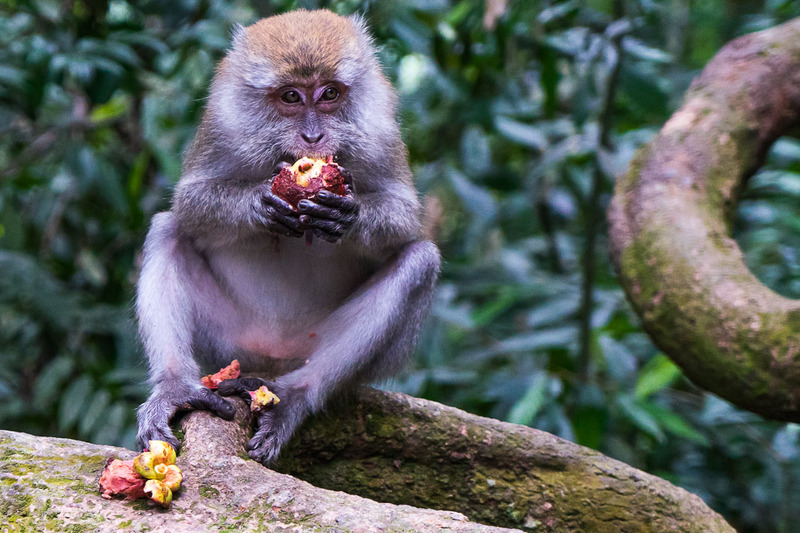 Breakfast foods now firmly planted in my stomach, our group set off across the river and into the deep, dark jungle in search of these notoriously camera shy Bukit Lawang orangutans. It didn’t take long for the humidity to hit me like a ton of wet steamy instant mashed potatoes. With every step forward, I’d be slapped with a brand new wave of flop sweat that refused to do anything other than just stick around. No matter how long I attempted to cool off or rehydrate, the river running down my back just kept trickling. It was completely gross and didn’t get any better over the next few hours. Being so focused on my general discomfort, I just about ran into the back of my guide who had a hand up to halt the group. “Shhhhhhhhh,” he whispered and slowly pointed his finger out ahead of us into the treetops. 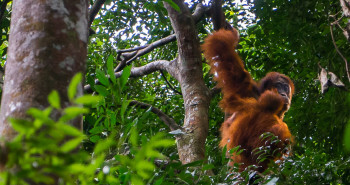 As my eyes slowly adjusted to the giant bright blob ahead of me, I suddenly realized that I was staring right at a large wild Bukit Lawang orangutan. And it was staring right back at me. Seemingly unimpressed, there it sat. Just calmly and casually hanging between 2 vines, wondering what the commotion was all about. 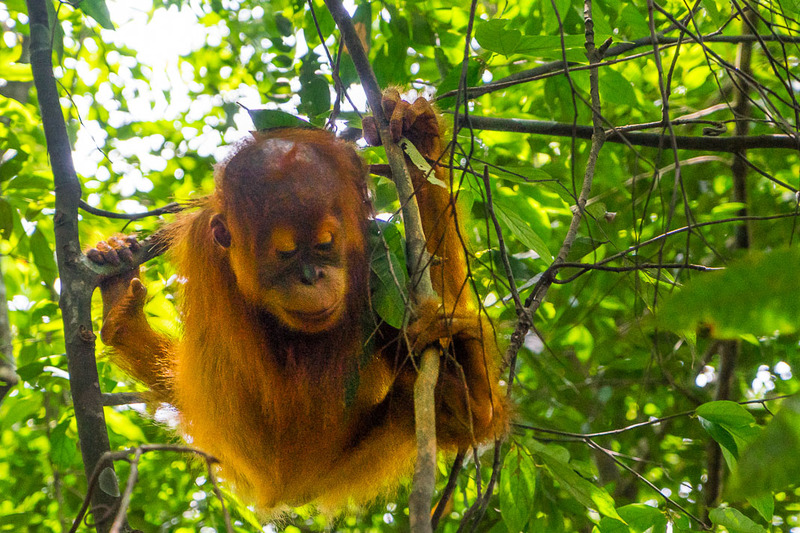 After a brief stare-down, the orangutan began to pull itself up, reaching over to a nearby branch and then disappeared back into the dark canopy. My small group just stood there for a second, absolutely amazed and speechless by what we had seen. 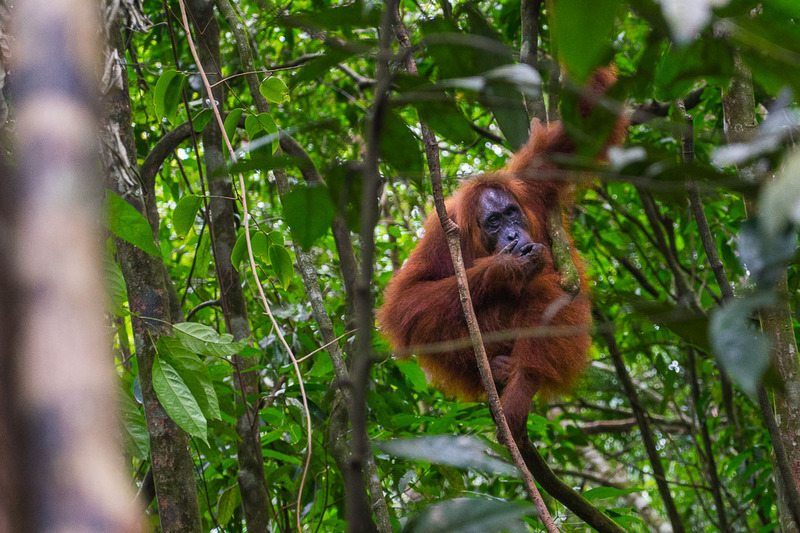 We continued on down the path and, as we got further into the jungle, we began to spot more and more wild Bukit Lawang orangutans. 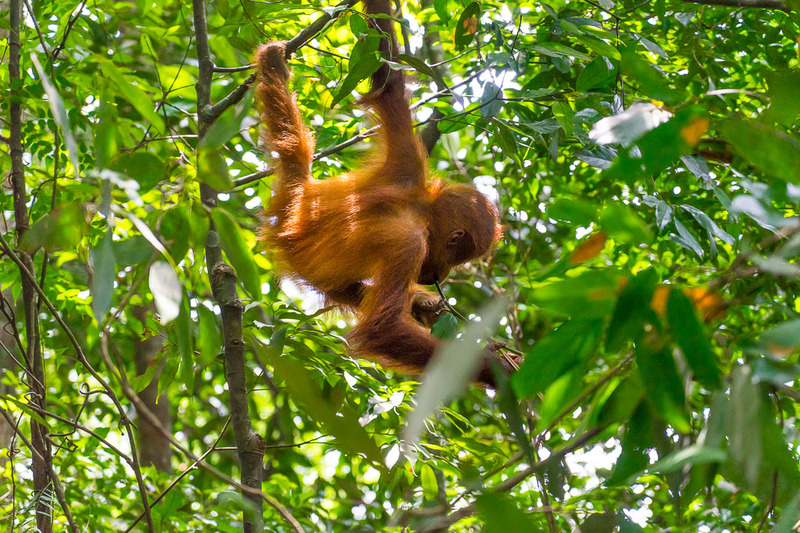 We also started to see numerous baby orangutans, close behind their watchful mothers. Every so often, one of the babies would wonder off on their own and spastically move about between the vines. 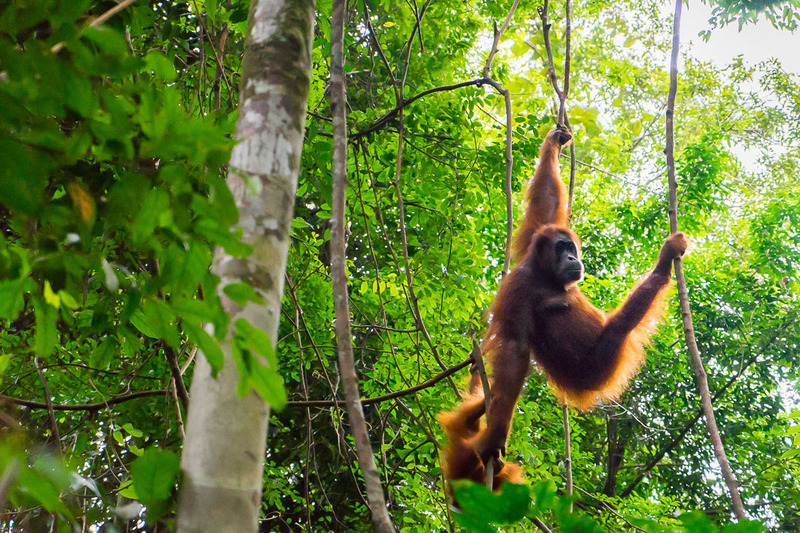 The mother orangutan appeared to humor this for a few minutes, but then would scoop their baby up and swing away. By this point, the trail had led us deep into the jungle, and the surrounding environment was appearing to increase in size. The trees appeared taller, the bugs seemed larger, and the foliage denser. 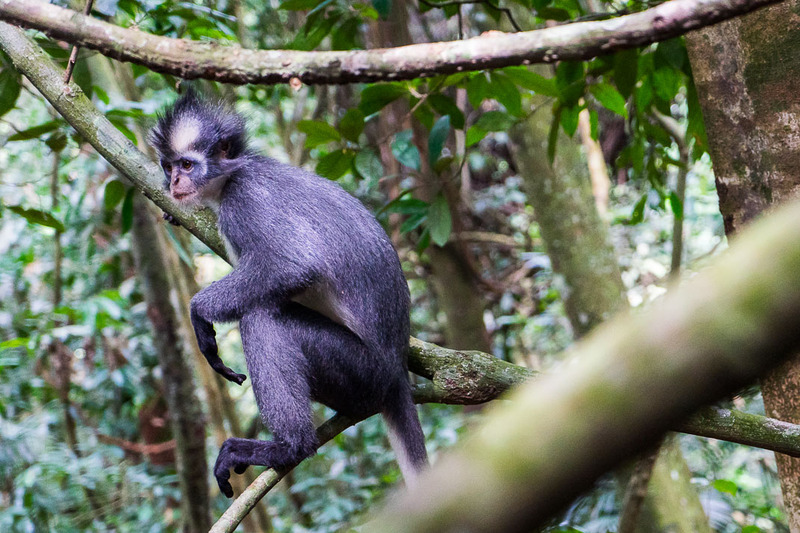 The Thomas’ langur monkeys, which before seemed too timid to approach us, were now sticking around and letting their curiosity get the better of them. Continuing on, we passed a pile of discarded fruit rinds that some other group had left behind. 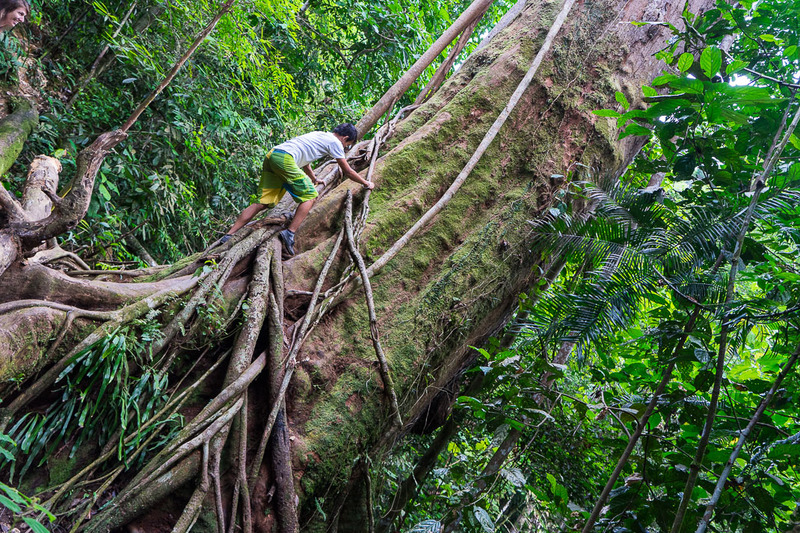 This is frowned upon by the Gunung Leuser Park Service, and we could see why. 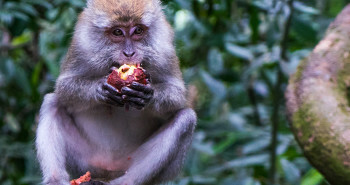 A small pack of macaques had already descended on the pile and were fighting over what little edible portions remained. As we walked by, they all turned in our direction, bared their teeth and began to emit a guttural, almost humanlike, grunt. What happened to the silly, fun-loving monkeys everyone always pictures? These definitely weren’t them, and they wanted us out of the area ASAP. We began to move downhill at this point, back towards the river. The ground was now wet slippery mud and we had to use strategically placed vines to rappel our way down. Before my Mount Rinjani PTSD could fully kick in, a loud rustling and a flash of orange next to the path startled me. 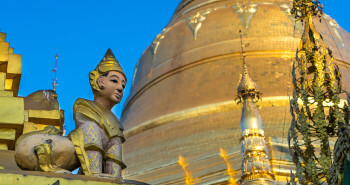 Our guides once again shushed us and recommended that everyone take a few steps back. 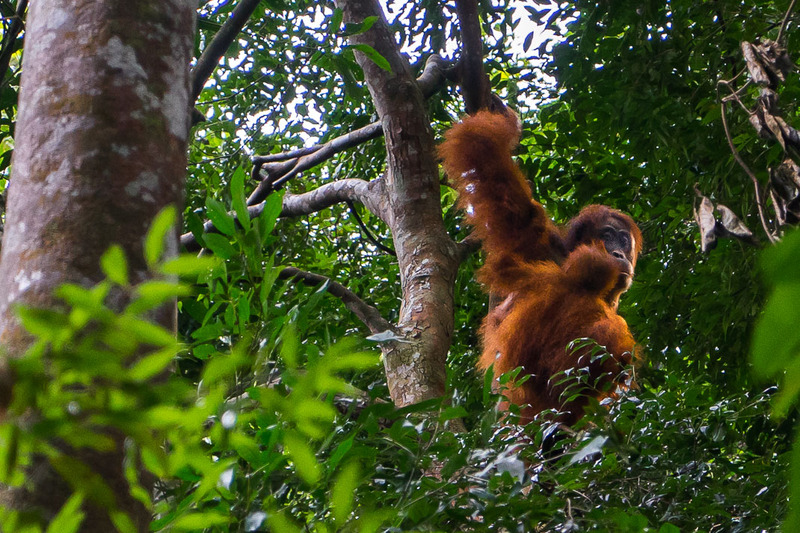 This was a good call, as right when he said this, a large wild Bukit Lawang orangutan emerged. There it sat, no more than 5 feet away. Being on a steep and narrow path, there really wasn’t anywhere for us to go. What if this thing feels threatened and starts coming at us? At this point we can’t move forward with this big orangutan just sitting there. The path behind us was too slippery to run back up and the sides of the path are much too steep to try to climb down. 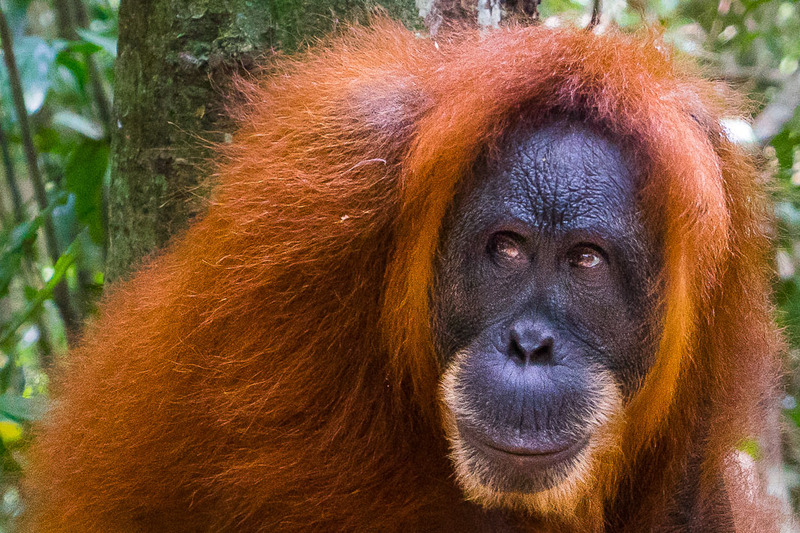 But the orangutan just kept on staring, looking each and every one of us over with its intelligent gaze. Having had its fill of whatever it was after, the orangutan climbed back up the nearest tree and immediately disappeared. Our guides didn’t miss a beat. Huh? I think my heart may have stopped for a few a seconds back there, and now you want us to raft? Yep, they were serious. I only just wish that they had told us about this beforehand, so that I could have brought along my GoPro. Unfortunately, my trusty Sony A7ii does not mix well with surges of water. 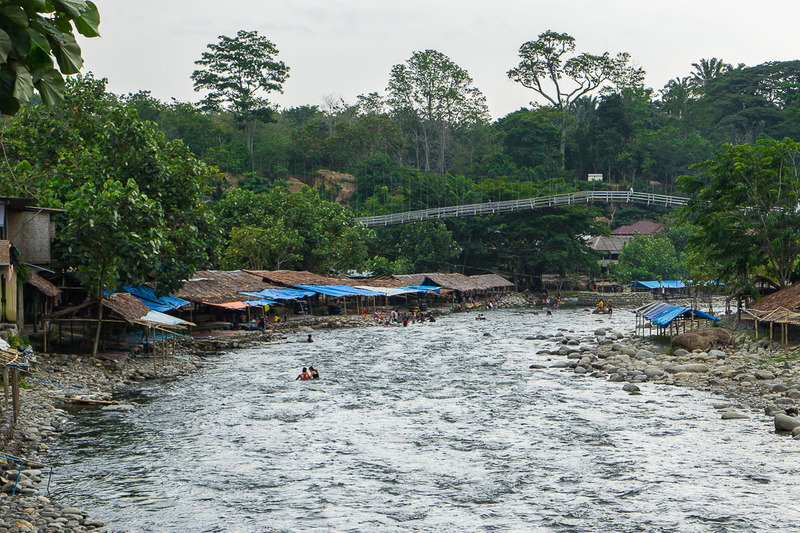 As we floated down the river in our makeshift raft, past other small houses with locals waving at us, I couldn’t help but think back over the last 48 hours. Even with missing my flight and having to cut down my time here, this part of my trip had been even better than I had hoped. 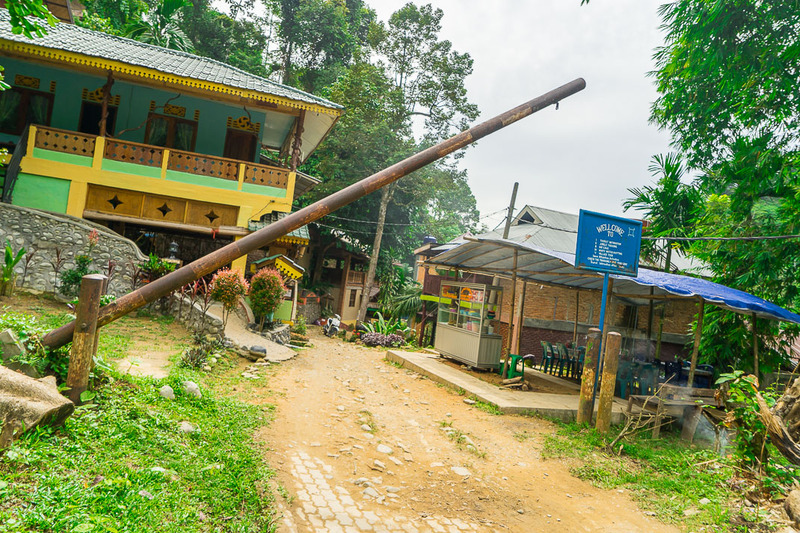 I had come face to face with Bukit Lawang orangutans, which ended up being a pretty wild experience. In this case, literally wild.